During the Doctor and Riddell’s tour of the Nine Circles of Hell, they fought against many of the “savage insect races” that once ravaged our universe but are now condemned to eternal damnation beyond. Among the most vicious of these was the Hellgrammites. A parasitic species with a unique life cycle, the Hellgrammites absorb the bodies of the dead. In the cocoons that they weave around corpses, even the dead of other species will undergo a grim metamorphosis, only to rise and live again as newborn Hellgrammites. Possessing dozens of limbs and an instinctual bloodlust, the Hellgrammites are quick and violent predators. During the Dark Times, they were a plague upon our universe. Because of this, the ancient Time Lords banished them to the accursed dimension that evokes their name. Adversaries: Asmodeus, The Scourge, The Racnoss, The Hellgrammites, et al. It is said that in the Dark Times of the Fledging Empires, the Time Lords of Gallifrey were pitiless in imposing order on the universe and in their misguided attempts to create other, less sensible realities. Whispered legends tell of the most appalling of their cosmic constructs, the nightmare dimension known only as Hell, an accursed wasteland to which the savage insect races of the universe were banished. Now, in an abduction that defies explanation, the Shining World of the Seven Systems has lost one of its great landmarks to this wicked realm, leaving some of its greatest visionaries at the mercy of the monsters it once condemned to eternal damnation. 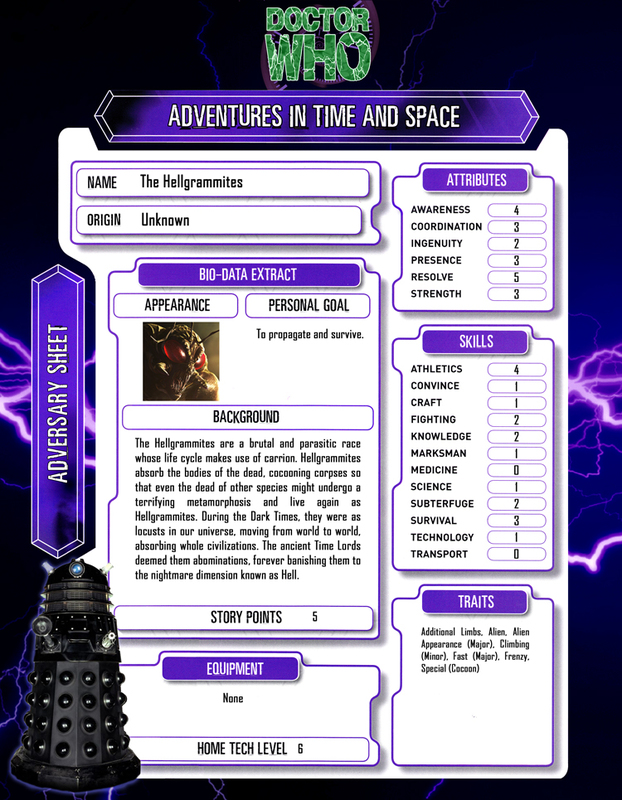 Among the missing is the Lady Romana—High Councillor, Custodian of the House of Everston, and, more secretly, a guiding force behind an increasingly organized underground sect devoted to the notorious renegade she once accompanied on his fabled journey through time and space. The loss is potentially devastating and the situation is grim, but the Council on Chaos recognizes an opportunity when it sees one. 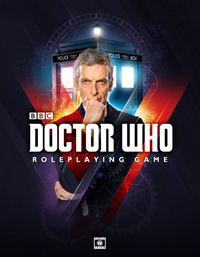 With the Doctor, his human companion, and their rickety Type 40 time travel capsule captured and in state custody, the Time Lords have regained control over an erratic but resourceful agent who has repeatedly demonstrated his willingness to venture where others fear to tread. 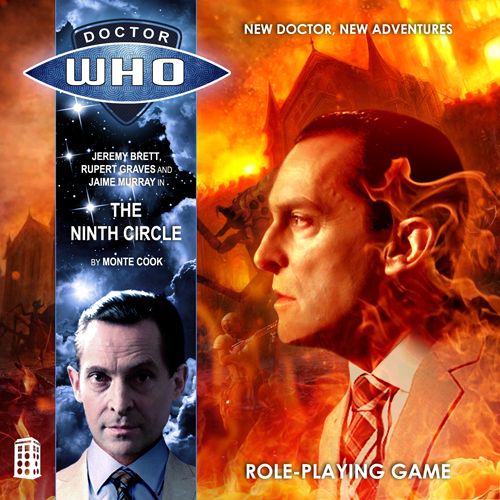 To earn their freedom, to rescue Romana and all that Gallifrey has lost, the Doctor and John Riddell must face a gauntlet of unimaginable horrors and brave the infernal depths of Hell itself!